While I was still in the Pokemon craze of Diamond and Pearl's release, I got Deejay into Pokemon and he had a liking for dragon types. 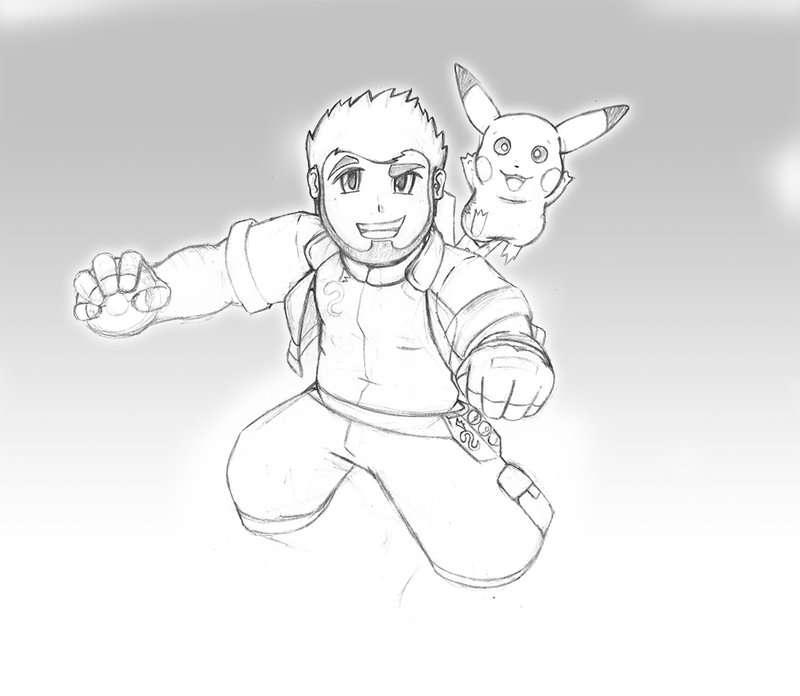 The other picture I did was just Deejay with a Pikachu and Pichu, but this was supposed to be more. I never finished the piece, but I think I like it enough to one-day revisit it. It's Deejay with a Pikachu and he's going to be riding on his Rayquaza with another dragon-pokemon (presumably Charizard) in the background. Again, I never finished it so I can't make too many comments, but I do like the way his outfit turned out - it's just too bad I always have these great ideas for poses but they never pan-out in the long run.